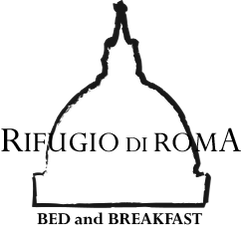 The B&B Rifugio di Roma is situated in Rome in San Paolo district, near the Regione Lazio and the Fiera di Roma. San Paolo is one of the most lively area of the city, where you can find the simplicity of the typical Roman residents. The close links to public transport such as underground and bus, make easy all journeys in the city. Underground: the station of line B is far only 50 meters and with 3 stops you can arrive at Circo Massimo, Colosseo with 4 and 6 stops to the central station Termini. Bus: bus station is just 150 meters away, and the crossing lines are the number 766 - 23 - 44, all in the direction of the city center. G.R.A. : from Grande Raccordo Anulare take the exit 28, direction Eur Ostiense. The airports: Fiumicino and Ciampino are 10 km away, both of them accessible by shuttle bus that leaves from the Ostiense station, which is located 400 meters from our B&B.